Farmers’ markets offer in season produce with the best nutritional qualities. Fresh fruits and vegetables are filled with healthy antioxidants and phytonutrients. Check out what vegetables and fruits are in season in your area for the best tastes. Supporting farmers and artisans in your area helps them to continue to produce their goods. You can have a direct impact on keeping farmlands alive and prosperous. Help your local farmers to keep growing by giving them your support. Markets also offer an opportunity for the community to prosper. Help your community’s economy by purchasing goods direct from its local source at farmers’ markets. Many farmers’ markets accept SNAP and WIC benefits. 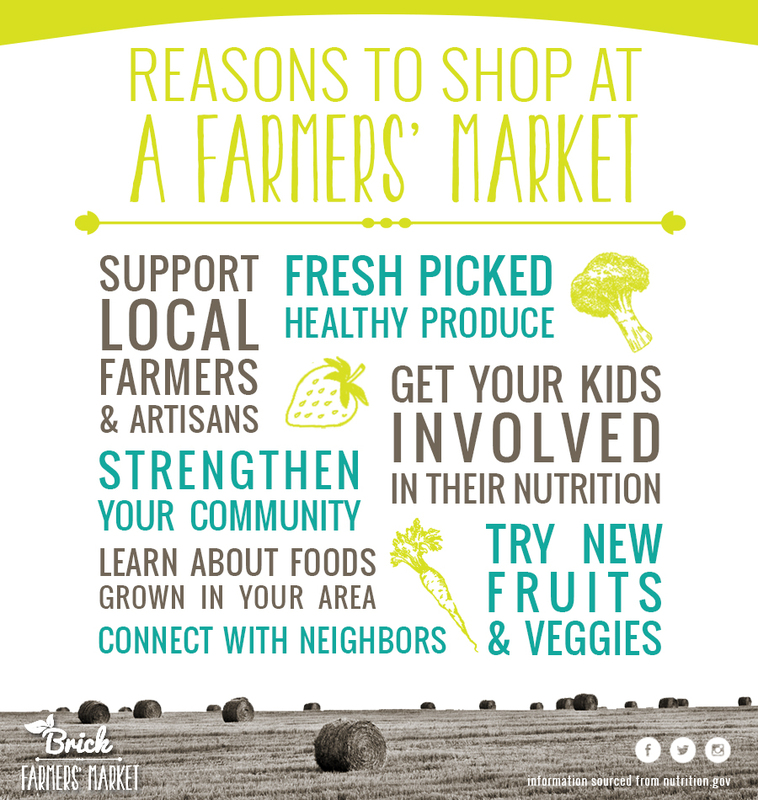 Farmers’ markets offer a great experience for kids to learn about the foods they are eating. Get them involved in how food is grown and then turned into their favorite dishes. Learn what foods are grown in your area. Let your kids pick out something new and exciting for them to try! Why not try out some different vegetables and fruits? Farmers’ markets provide a great source of lesser known produce that you can incorporate into your meals. Growers can also offer great ideas for new recipes that incorporate their goods. Be daring and pick up something different on your next visit!